Have a pokey wire emergency? We understand that pokey wires can be extremely uncomfortable if not addressed quickly. Knowing how to handle one (should you encounter one) can put you at ease and get you the relief you need fast. It is not uncommon for archwires and ligatures to sometimes poke into your lips and gums, but there are home solutions to help you when a trip to our office is not an immediate option. As always, you should seek out Dr. Hardy immediately if a wire has come loose and try to have it fixed. Sometimes you can’t see your orthodontist immediately or it’s a holiday or weekend, so you might have to take some steps yourself so that your mouth is comfortable and pain-free. Learn how you can use tweezers, orthodontic wax, nail clippers and pencil erasers as tools at home to eliminate discomfort! 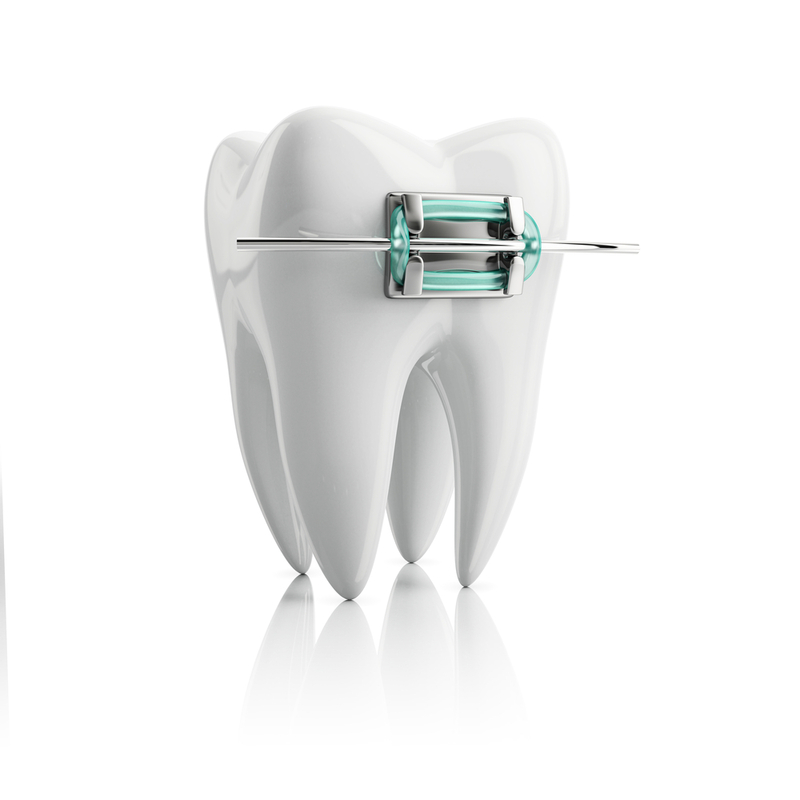 The bracket is the small metal square glued to each tooth with a special adhesive. An archwire is the thin metal wire that connects all the brackets of the teeth together and curves around the teeth. It works with the brackets as a source of force to correct crooked teeth, alignment and other irregularities to position the teeth straight. Sometimes a wire can break depending on the food you consume (like hard candies, chips, veggies etc.) or the wires might just be too long towards the back of your mouth. You’ll be able to feel a pokey archwire coming in contact with your gums if it happens. Many times, these wires can cause small mouth sores or cuts on the gums and cheek, so you don’t want to ignore them. The ligature is the small elastic band around each bracket that connects the archwire to the bracket and keeps it in place. The orthodontist will usually change your ligatures—or bands—with each visit and they come in many colors to choose from. Archwires and ligatures can sometimes poke into your lips and gums. It’s always best to have Dr. Hardy fix your pokey wire problems. If that’s just not possible, then we have some tips to help you fix the pokey wire temporarily and be more comfortable until your next orthodontic appointment. Orthodontic wax. You should have received wax when you received your braces. It usually comes in a package in long cylindrical shapes. If you have a pokey wire, wax should be the first option you turn to, as it is usually the safest and most effective method for finding comfort and avoiding mouth cuts from wires. It’s smartest to brush your teeth to make sure the wire itself is clean as well as the area you will apply the wax. After brushing, make sure your hands are clean too and the area around the wire is dry. You can always use a Q-tip or gauze to dry the area of the mouth so it’s not wet. Using only new, unused wax, roll a small piece of the wax into a ball about the size of a pea. Apply the wax to the dry area of the mouth where the wire is poking out or causing irritation. Hold your cheek away from the area for several seconds and make sure the wax is in place. If the area of your mouth was too wet, you may have to re-do the process. The wax should significantly reduce any pain or irritation the wire was causing. Just make sure to remove the wax when eating or brushing your teeth and then reapply new, unused wax for maximum benefits. If a small piece of wax is accidentally swallowed, there is no need to worry as the wax is harmless. Pencil Eraser. Sometimes you will have a thinner wire in your mouth that is poking out and causing discomfort. If this is the case, and wax does not seem to do the trick, you may use the eraser end of a pencil to gently bend the wire back into a more comfortable shape for your mouth. Make sure to use a pencil with a clean eraser. Pull your cheek away from the area and gently use the eraser to push the wire closer to your teeth and under or behind the archwire if at all possible. This method may or may not work on the archwire itself, but can help with thinner wires. A pencil eraser can also be used to push in the ligature wires on your brackets (where the bands go) that are causing lip or gum irritation. Tweezers. You can use tweezers to re-insert archwires that have slipped out of the molar bracket. This can happen on the back teeth and can be fixed with tweezers. You may have to have an adult help you with this. Make sure the tweezers are clean before using them as you will be putting the tweezers in your mouth. Grab the end of the wire with the tweezers and carefully insert it back into the bracket slot. After the wire is securely back in the bracket slot, you can use wax to keep the wire in place until your next orthodontic appointment. Tweezers can also be used to bend a ligature wire back into place if it is poking out (much like how you can use an eraser). If a ligature rubber band comes loose, tweezers can be used to place the band around the bracket once more. Pliers or Nail Clippers. This option is ONLY used as a last resort. If wax fails and you are unable to bend a pokey wire into a more comfortable position or into the bracket slot, you may need to clip the wire itself. This is something you should have your orthodontist do, but if you are in a bind, you can carefully remove the part of the archwire that is poking. Gently pull your cheek away from the area and dry the area where you will cut the wire. Have an adult help you as you gently cut the protruding wire. Afterwards, it is always smart to add wax to the area to keep the wire in place and see your orthodontist as soon as possible. A good rule of thumb is to always check for a pokey wire before you leave our office. Sometimes you can tell right away that something will cause you irritation and we can do a quick fix, saving you time. Always call if you experience a pokey wire or other problem so they can help do a permanent fix. Use common sense when it comes to fixing a pokey wire at home. Call our office at 303.225.9016 if you have any questions! We are here to help you!